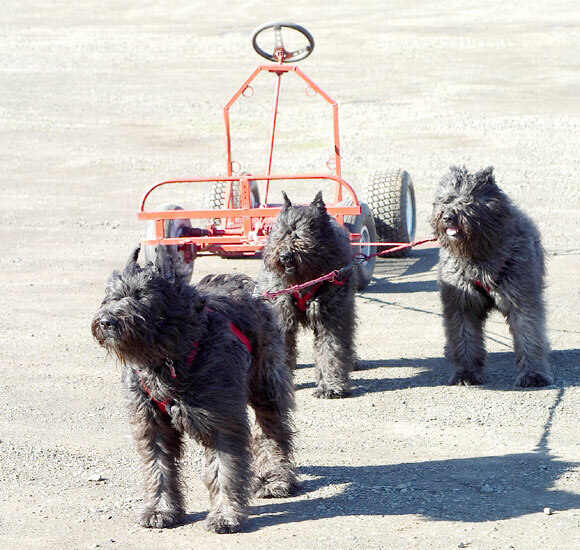 In Feb. 2003, we started working with our Bouviers and a 4 wheel sled dog training cart. This is the first time they have been on gang lines rather than a cart with shafts. 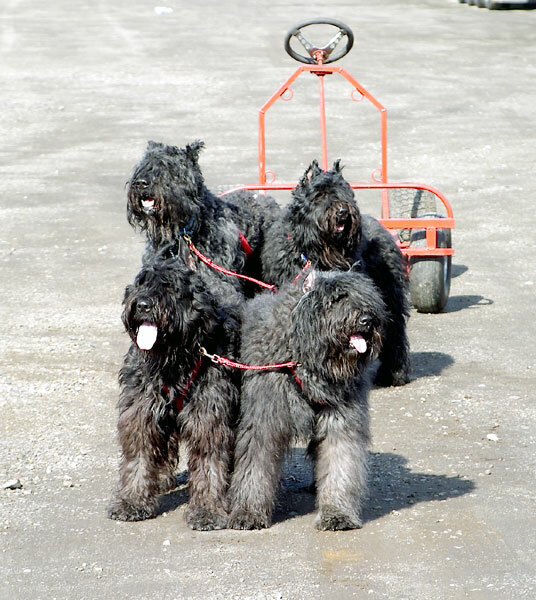 Caprice is lead dog and Dusty (front) and Echo (back) are wheel dogs. Again Caprice is lead dog, Dusty (left back) and Echo (right back) are wheel dogs. March 1, 2003. Here we have 4 dogs hooked up. Caprice (L) and Echo (R) are lead dogs and Kong (Rear Left) and Indi (Rear Right) are wheel dogs. This was the first time that Kong and Indi have been hitched up.